The next event is on Thursday 21st April at 6pm at Chauffeurs Cottage, St Peter’s Road, Peterborough PE1 1YX. Guest speakers include Bedford creative Arts, a contemporary arts charity. BCA deliver a programme of artist commissions and residencies, events, projects, and workshops that cater for a wide audience and provide new opportunities for artists. The other guest speaker will be artists in residence choreographers H2 Dance. H2 Dance is currently in Residence at Metal Peterborough, they will be talking about their practice, the project they are developing whilst here and how you can get involved. Bedford Creative Arts is a contemporary arts charity. BCA deliver a programme of artist commissions and residencies, events, projects, and workshops that cater for a wide audience and provide new opportunities for artists. For future Network BCA will be talking about their partnership with libraries looking at new audiences and engaging the arts. For their project ‘Library as a Laboratory’ BCA asked 8 artists the question ’How can our library of there future thrive?’ the artists are working with local residents to explore ideas around the library of the future. Previous BCA projects have included ‘The Bedford Song Book’ a book celebrating local artists and musicians. ‘Complaints Choir’ – Bedford arts choir sang peoples grouches, peeves and pet hates. And ‘La passeggiata’ an Italian tradition of taking a very slow stroll through town before dinner, Bedfordians got dressed up and went for a slow stroll through the streets of Bedford and stopped for aperitif or an ice cream. 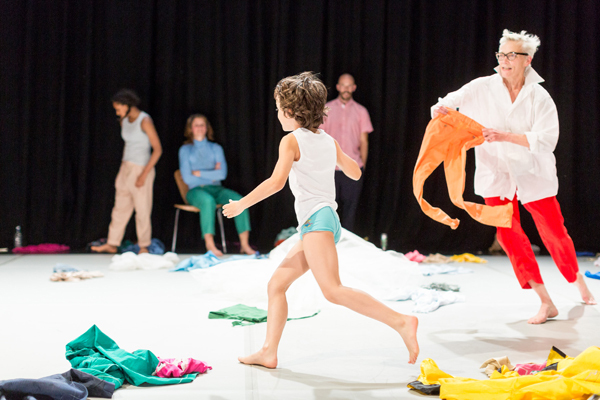 7.30pm: Invited guest speaker H2 Dance will talk about her work with opportunity for Q&A. Hanna Gillgren from H2 Dance will be joining us to talk about H2’s practice and residency at Metal Peterborough. H2 Dance make work that sits in between performance and dance, often taking a humorous approach to serious subject matters. They work collaboratively with interdisciplinary teams of professionals and local communities to create evocative performances that challenge and respond to the audience. Currently they have been exploring themes such as group behaviour, conformity, power balance and manipulation. The notion of the group versus the individual, the public and the private is investigated through movement, voice and video. Find out about their project in Peterborough and how you can get involved at the next Future network.